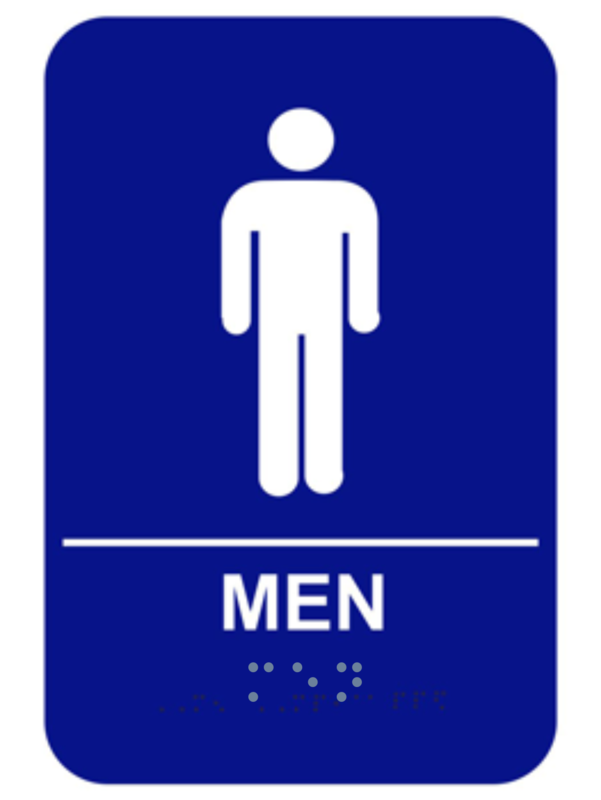 The men's ADA braille restroom sign features the standard "male" figure above the word "MEN" which is also written in raised braille beneath. This 6" x 9" men's restroom sign is made from high-quality acrylic and features rounded corners. Braille is ADA compliant and says "MEN" to indicate the men's room.